I recently took trip to Mexico’s Yucatan Peninsula. Forgoing the usual tourist center of Cancun and the Riviera Maya, I headed inland to Mérida. From this, a Maya city turned Spanish colonial center turned Mexican provincial capital, one of the oldest inhabited places in the Western Hemisphere, I undertook a short series of day trips to the great Maya ruins of the Yucatan, including Chichen Izta, Uxmal, and Ek’ Balam. To maximize my time – to make the most sense of my all too brief visit to this incredible region – I did my homework before I left the States. 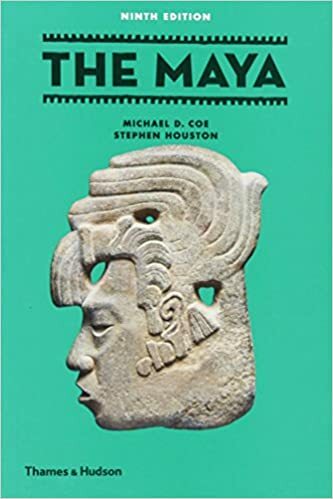 Of particular use to me – and to anyone looking to learn more about the Maya and their Mesoamerican neighbors – is The Maya (People and Places) by Michael Coe. While certain passages were somewhat esoteric in their detailed account of the history of Maya archaeology, the book itself was eminently readable – a great resource for anyone looking to cut through the hype and 2012 sensationalism that soaks the usual Amazon search results. Aimed at younger readers – but still rich and directly written, with lush illustrations – Ancient Maya by Barbara Somervill is a book that paints a nuanced portrait of this complex society. Suitable for a middle or high school library, and I can honestly say that as an educator I took a lot away from this book myself. It never speaks down to its audience, which is the sign that a book is truly accessible to all ages. 1491: New Revelations of the Americas Before Columbus by Charles C. Mann is a perennial favorite of mine. While its scope is far wider than the Maya – encompassing Teotihuacan, the Aztec, the Inca, and many more Pre-Columbian societies that deserve more attention from the general public, Mann’s masterpiece is a true revelation – an inspiration that started me down the path that eventually led to the creation of Openendedsocialstudies.org. If you know of any other relevant books I should be looking at – especially if they might help to inform future travel and lessons here at Openendedsocialstudies – please leave a comment in the section below!